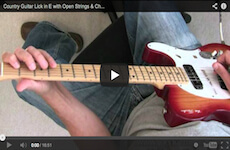 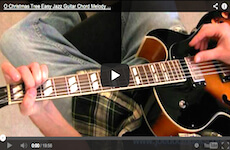 The Guitar Journal is a blog of the free monthly videos I post on YouTube. 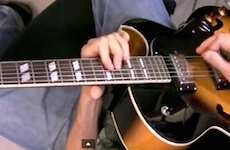 Here you can pick up some guitar licks, theory lessons, and other goodies that I have excerpted from my DVDs or created for this blog. 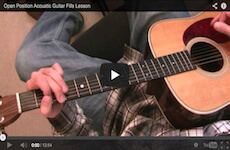 Subscribe to my YouTube channel to be kept up to date on new videos, and here on the site I often add tabs or worksheets to round out the video lesson. 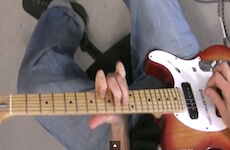 Have fun, and drop me a comment if there’s anything in particular you’d like to see. 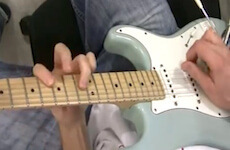 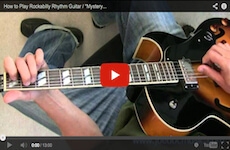 This month's entry is aimed at beginning to intermediate players, and shows you how to get a rhythm part rolling along in the style of "Mystery Train"